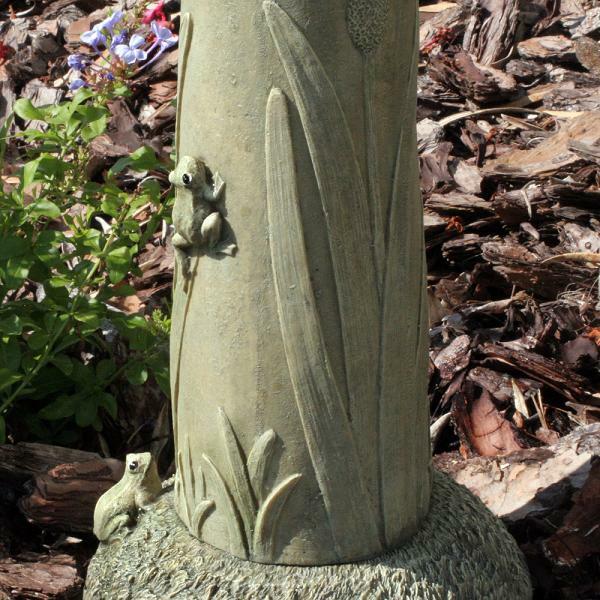 The Acadia Solar Birdbath/Water Fountain is a fun, whimsical birdbath that features an olive green finish with cattails and frogs that will blend into your garden area, patio or balcony. 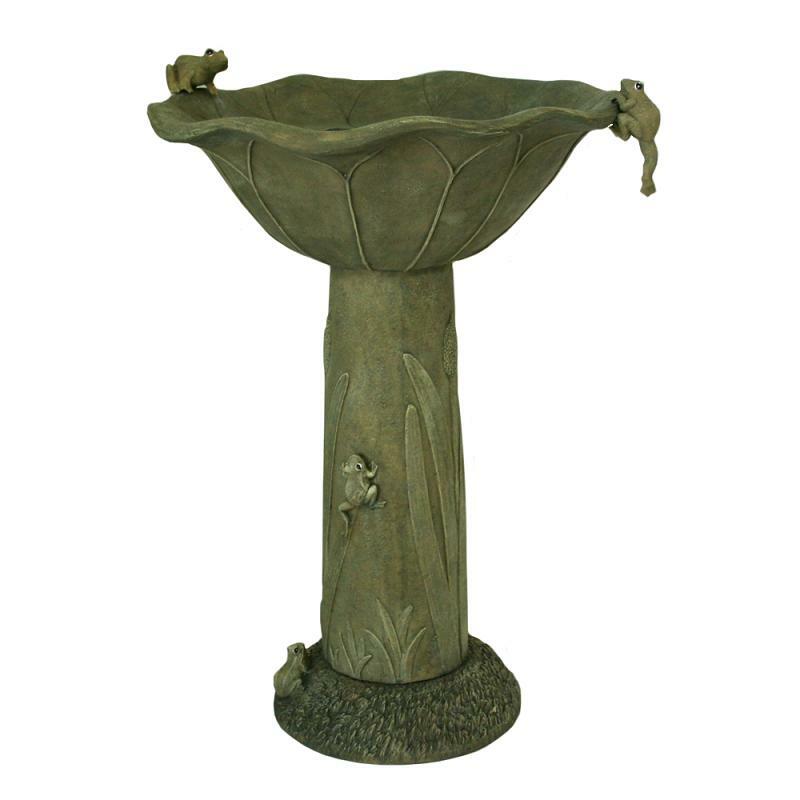 This solar water fountain does not require special installation and comes complete with solar pump and panel, enabling you to create an instant water feature in any garden, deck, patio, yard or conservatory. 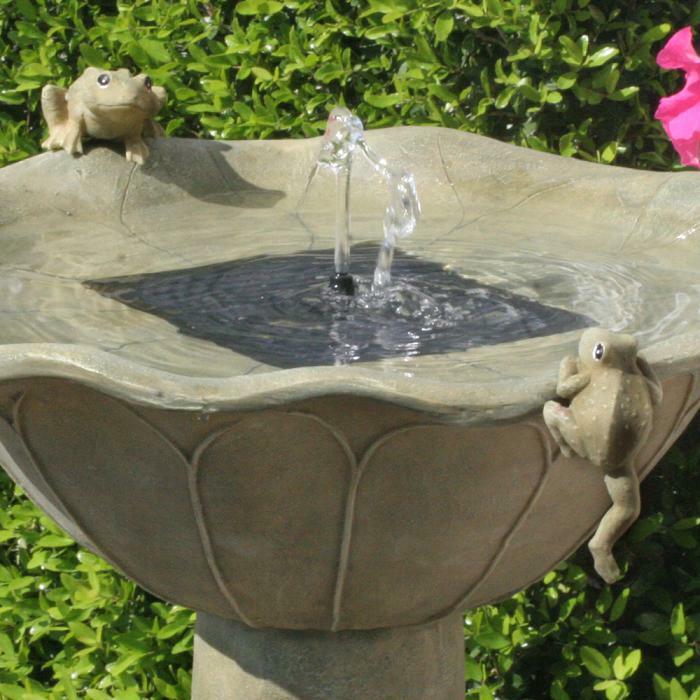 The fountain operates in direct sunlight only. The solar panel is hidden under the water, for maximum aesthetic benefits. The pump will filter and recirculate the water from the hidden reservoir, preventing the growth of algae. 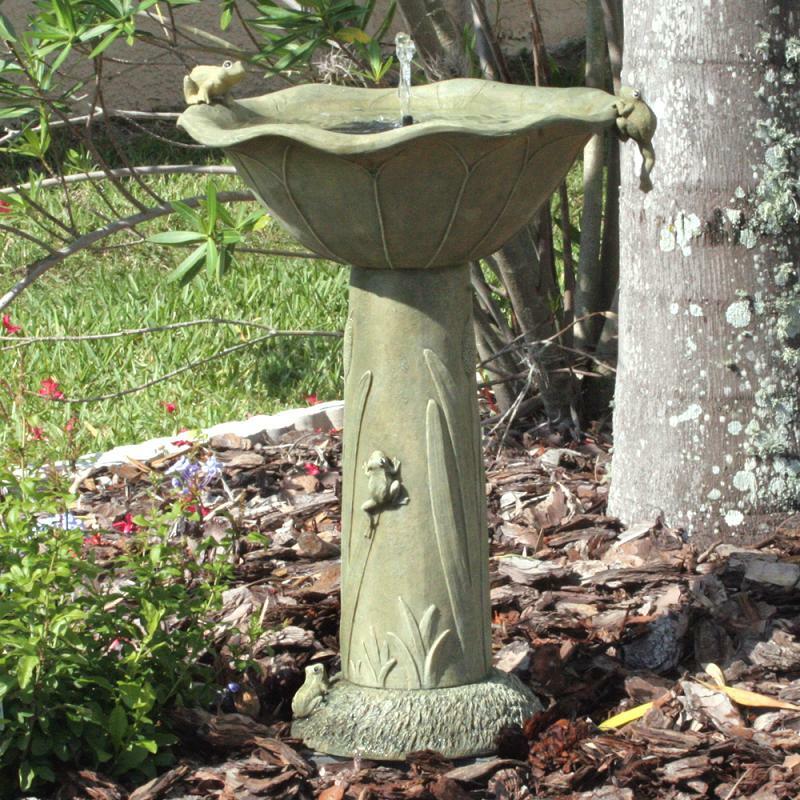 What a nice addition to your backyard, pool area, or garden. Just add water and sunlight and enjoy! Solar panel requires full sunlight. Includes built in bubbler or use the 360 degree spray head.